Food is the glue that holds together any gathering. From a small group to a large crowd, when dinner is served, everyone is happy. This doesn’t mean it’s simple to pull off a successful dinner party. There are plenty of details to consider. A dinner party that looks easy is the mark of a good planner. 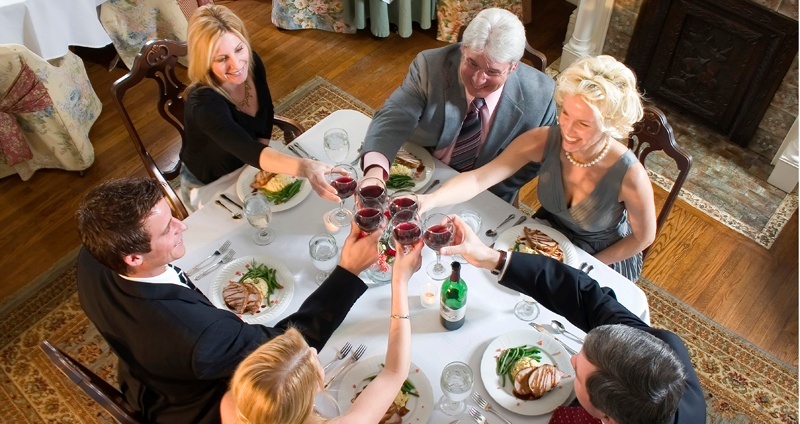 Here are some tips for planning a successful dinner party. Make a decision on the tone of the evening. Is it casual or formal? Intimate? Festive? Lighthearted? Will you have a sit-down meal or buffet? You need to be clear in your own mind about the atmosphere you want to create for your guests. This is the foundation for building the dinner party. Adding a party theme makes it more interesting to the guests. 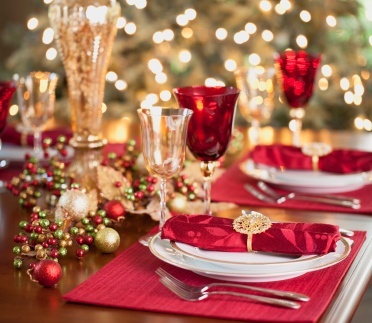 Maybe you’re going to have a wine or dessert tasting, pot luck, a cooking demonstration, or holiday theme. Do you want the guests to come in costume? Once you’ve chosen the dinner party theme, you can plan your decorations, which includes lighting, table settings, accents, centerpieces, linens, and anything else that will help you set the scene to drive home your theme. Also plan ahead for music, which creates the perfect backdrop for your evening. Build a playlist or hire musicians, but don’t overlook this important detail. A dinner party invitation can be as casual as a phone call, text, or email, but if you want your dinner party to become an event in the eyes of your guests, create a memorable invitation. You can go for a traditional invitation or use one of the many online resources for something more unique, like TinyPrints, Shutterfly, and Vistaprint. 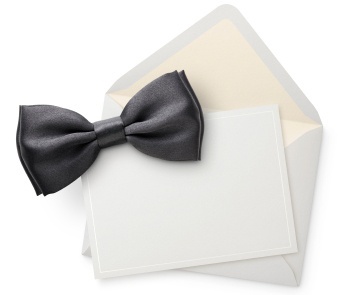 Evite is a great source for creating and emailing professional looking invitations. You know your theme, so use that to build your menu. Take into consideration any dietary concerns—vegetarians, vegans, diabetics, and people with food allergies. If you’re not sure, ask them to specify their needs in the RSVP. Menu planning for a dinner party can be stressful—if you let it. Approach this step as you would design a room. Start with a signature piece and build around it. Do you have a signature dish? What would accent it? If you need some help, you can find complete menus at Epicurious and or find inspiration at AllRecipes. An important tip: Test your recipes before the dinner party to make sure you like them. Don’t use your guests as guinea pigs! Are you the chef for the evening’s menu or will you have help in your kitchen? Are you hiring a caterer or maybe bringing in a personal chef for the event? Remember that it’s more important how the food tastes than who did the stirring, sautéing, baking, etc. If you want help from certain guests, ask them in advance for their assistance so they’re prepared, or request they bring their specialty. Plan ahead for the table setting, from the dishes and linens to the salt and pepper shakers and serving pieces. Make sure you have all the items you’ll need. Just to be sure, set your table a night or two before. 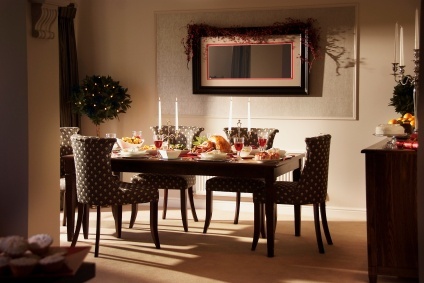 Place your serving dishes on the table (including the utensils) with a note as to what will go in each. Decide where to place hors d’oeuvres. If you will be using coasters, have them handy. Map out the evening well ahead so you have an organized party planning schedule to follow. Any food you can prepare in advance will free up your time the day of your party. Plan to call any guests who have not responded two days before your dinner party. Make a note of what time each menu item needs to be removed from the fridge or freezer, placed in the oven, or put on ice. Also list the times and temperatures of anything that will be cooked in the oven so you know how to juggle its use. If you’re going to have fresh flowers, purchase them the day before and look for blossoms that aren’t open yet. Place them in a vase overnight so they’re in full bloom for your party. A successful dinner party is the result of careful planning. If you want to host an entertaining event, you need to take control. Don’t let the details overtake you.